Inspired by the master of organisation and tidying up, Marie Kondo, up-and-­coming fine jewellery brand Young By Dilys’ challenges us to ‘declutter’ our jewellery boxes and keep only pieces that bring joy and positivity in our daily life. 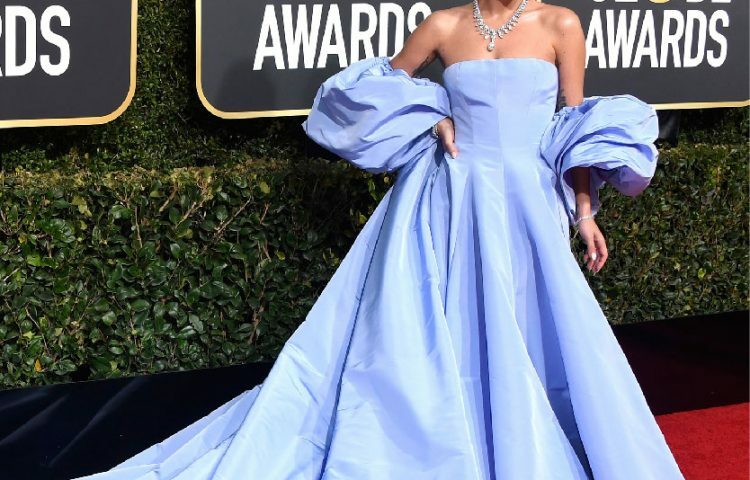 Do we buy jewellery because it is the most Instagrammable piece at the moment? Or do we wear it because it sparks joy and positive energy? 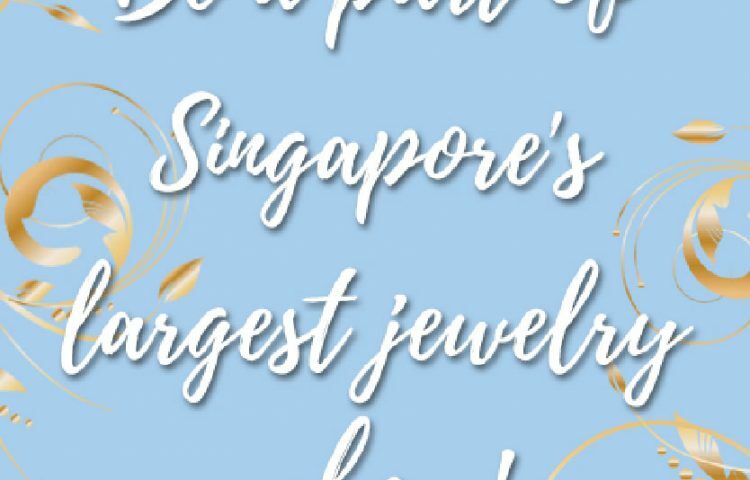 Catering to the mindful millennials, contemporary fine jewellery brand established and crafted in Hong Kong, Young By Dilys’, inspires us to take a moment to think about the energy and meaning behind the jewellery we wear. This younger brand is designed and founded by Dilys Young, who is known for her exquisite yet wearable designer pieces from her eponymous fine jewellery brand, Dilys’. 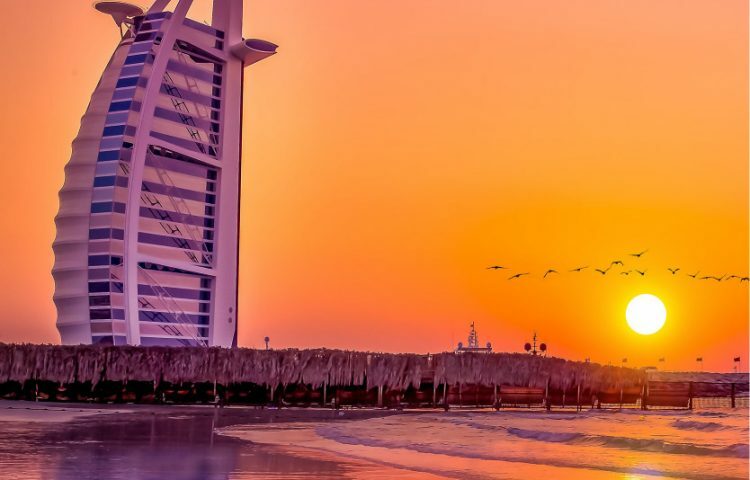 Over the years, Young witnessed the immense changes in the external environment around her, and with it, the prevalence of negative energy in our society, especially amongst the younger generation. As a woman who wants to evoke change and positivity, she decided to do so doing what she does best: high quality fine jewellery. With the younger generation in mind and with a play on her own name, the budding new brand — Young By Dilys’ — came to life. Every piece from the brand is inspired by authentic cultural symbols charged with positive energies, and designed with the stylish young woman in mind. Case in point: the Celestial Eye design, which takes the shape of the ‘evil eye’ — a powerful symbol used to ward off negative energy and evil spirits in Chinese and other ancient cultures, is both edgy and meaningful enough for the discerning millennial. The dainty design is available in nine precious gemstones with distinct positive energies — from love, harmony to courage — and can be worn like an amulet to suit each wearer’s purpose and ambitions. 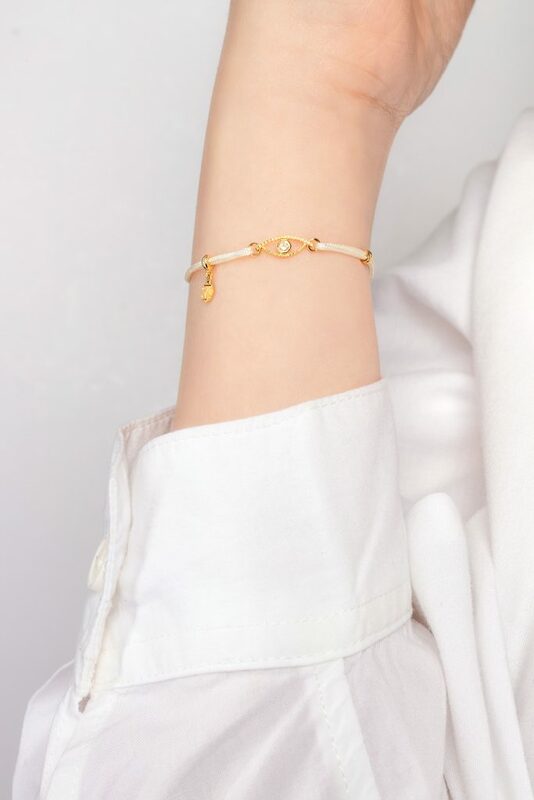 A favourite piece features the fancy yellow diamond Celestial Eye, set in 18K yellow gold, which evokes energy and creativity, perfect for everyday wear in a thread bracelet form. Chinese culture is steeped in rich symbolism that conveys significant meaning and knowledge about different facets of our vibrant history. Young By Dilys’ more recent offering, the Legacy Collection, is inspired by these beautiful symbols, including the Eternal Knot (ru-yi-jie) and Lotus. Each piece acts as a tiny token of personal and cultural heritage that can be passed down, preserving stories of our ancestors that are getting lost in the rush of modernity. Belonging to the sacred set of Eight Auspicious Symbols found in Buddhism, the Eternal Knot signifies wisdom, compassion, and continuity. 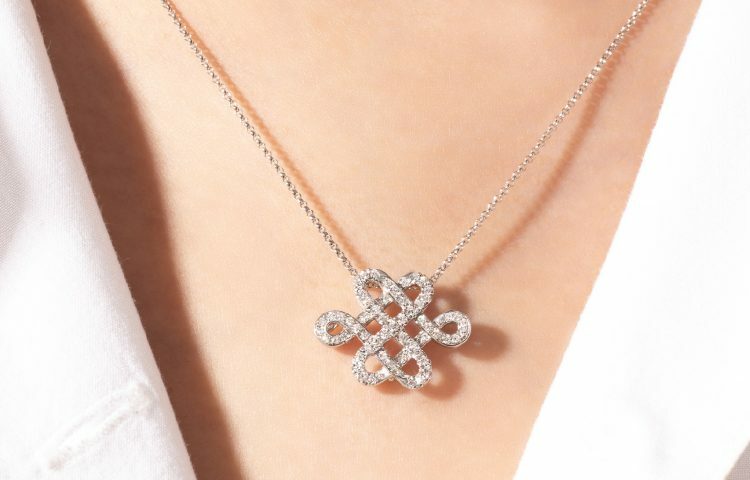 Inspired by this symbol, the Legacy Collection’s Eternal Knot design, encrusted with diamonds and set in 18K gold, is an exquisite reminder of how positive energy circulates from and around us. 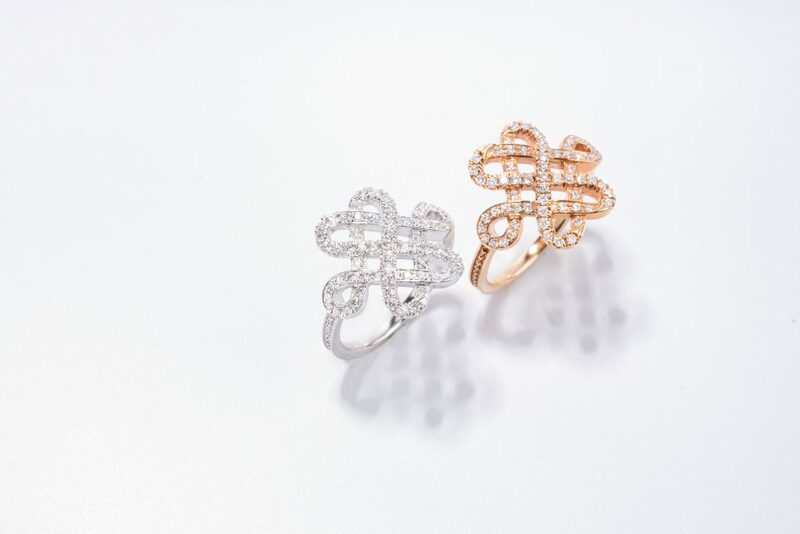 Amidst the chaos of city life, the Legacy Collection’s Lotus ring, set with diamonds in 18K rose gold, elegantly bestows the wearer with a refreshing sense of clarity. Amongst the Eight Auspicious Symbols, the lotus flower exemplifies purity or a process of purification, as it is a delicate flower that blooms beautifully in murky, muddy water. Young By Dilys’ believes that the jewellery we choose to wear should not only be of the utmost quality, as they come in direct contact with our skin, they should also be charged with calming energy, as explored in their OM Collection. “Om” is a sacred syllable commonly uttered in Buddhist and Hindu mantras, and is said to be a sound that encompasses the meaning of the universe. 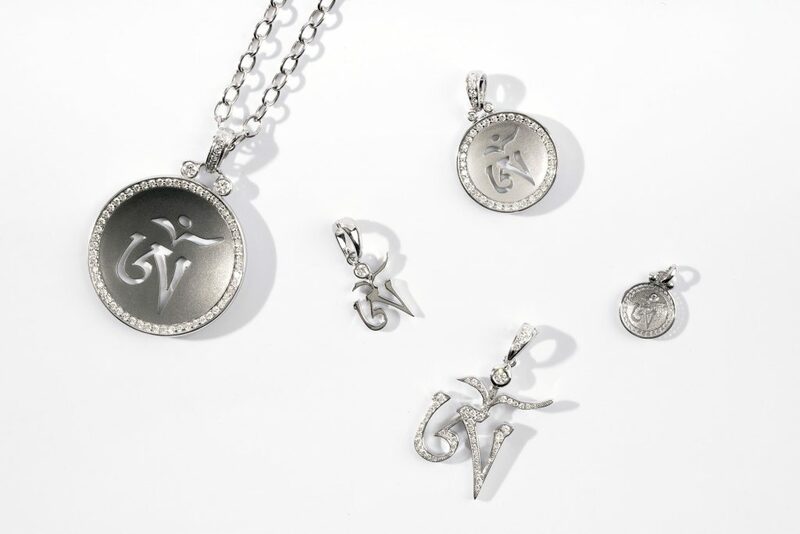 Represented using the ancient Sanskrit character, Young By Dilys’ OM Collection is designed to reflect the complexity and beauty of this divine syllable, bringing the wearer inner peace and harmony amidst our restless and fast-paced lifestyles. For more information, visit www.shopdilys.com.